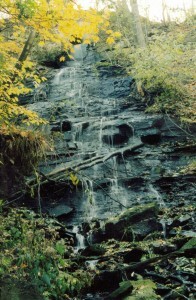 Denlow Falls is considered a Horsetail Ribbon Cascade. It has a height of 19 metres (62 feet.) 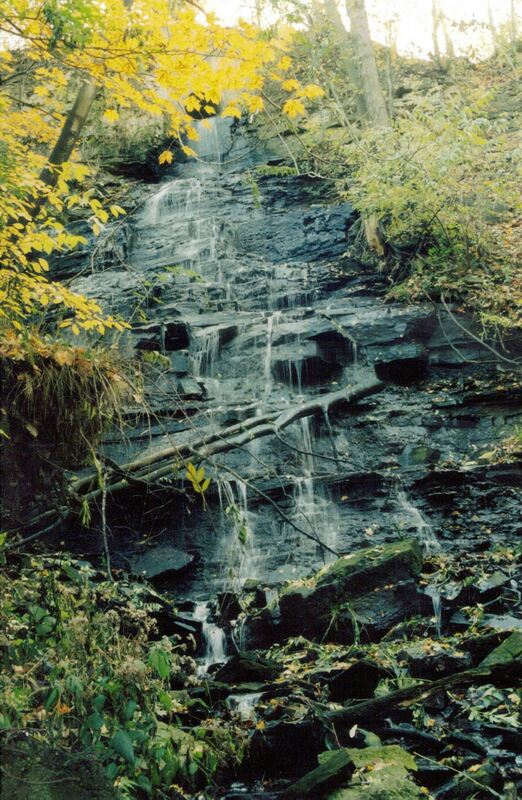 and the width varies from 2 metres to 9 metres as it cascades down. Its flow is strongest during rainstorms and after the seasonal snow melt. 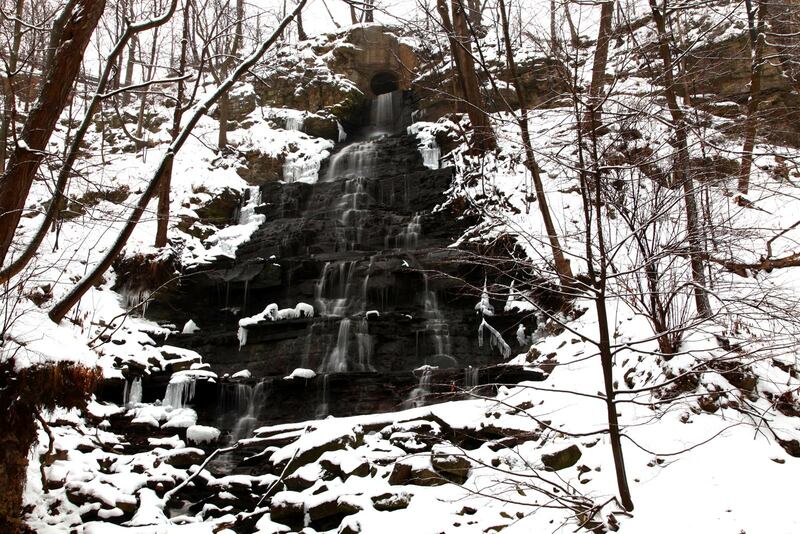 This waterfall was first brought to the attention of the Hamilton Waterfall Group in 2004 by Joe Hollick. 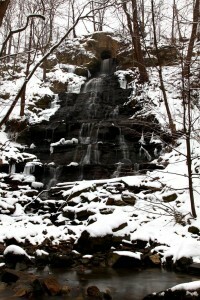 This waterfall is difficult to reach from below as it is located half way between Lower Chedoke Falls and Chedoke Falls. 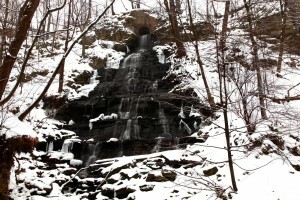 From the Chedoke Golf Course parking lot, go to the east end of the golf course along the Radial Trail, follow the large ravine upstream for a few hundred metres (past Lower Chedoke Falls). 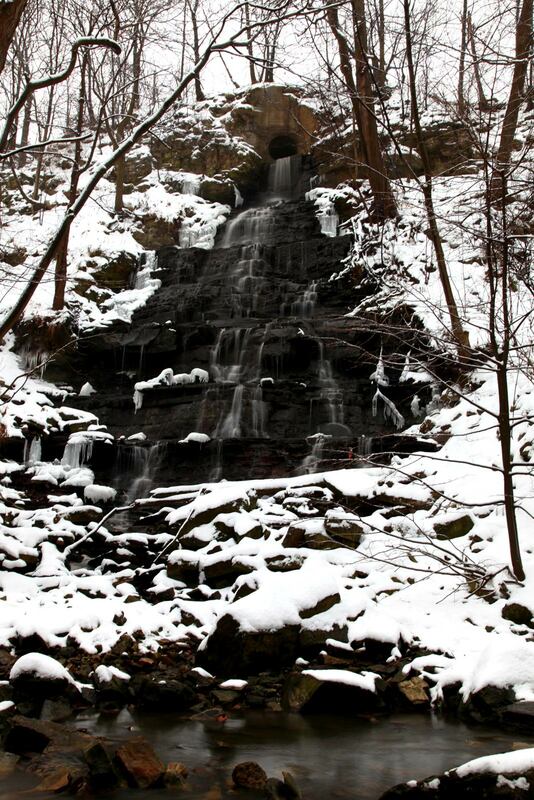 It will take about 20 minutes, there is no trail, bring waterproof boots and be careful.